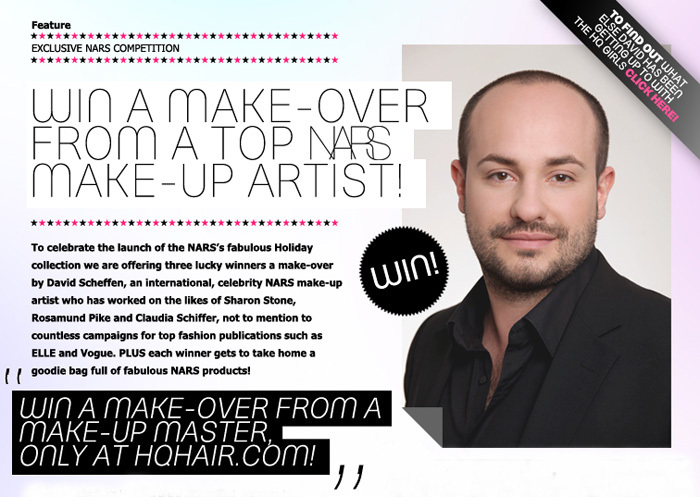 HQHair have teamed up with NARS international makeup artist David Scheffen (2nd in command to Francois – ooh la la!) to offer three lucky winners a fabulous Christmas makeover (not to mention a goody bag full of NARS products to take home with you!). To qualify for entry all you need to do is tell the HQ Girls who your beauty icon is… and why? The three lucky winners must be available to attend HQ Hair and Beauty Store in Central London (I’ve been there, it’s fab!) on Tuesday November 30th. For more information, T&C and to enter… click here!